Planning and Development is partnering with CJD-Ecycling, an Edwardsville recycling company, to hold the event from 8 a.m. to 2 p.m., Saturday, March 30 at the Grantfork Shed entrance, near Grantfork Fire Department, 210 Locust St. Residents can bring old computers and accessories, cell phones, iPad, DVD players, VCRs, small appliances, washers, dryers, dishwashers, air conditioners and more. All items, including older-model CRT televisions, are free of charge for residents to recycle during the drive. Items not allowed include light bulbs, paint, hazardous waste, business and contractor waste, batteries, oils, fire extinguishers, propane tanks, oxygen tanks, DVDs, VHSs, CDs, or cassette tapes, transformers or ballasts, and devices containing mercury including smoke detectors. 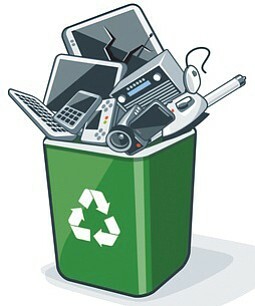 Prenzler said its nice that the county is able to hold the e-waste events in different locations throughout the county like it does its household hazardous waste events. “The event is open to all county residents too,” he said. Registration for the event is required. Those not pre-registered will be turned away to avoid lengthy wait-times. Register at https://RecycleResponsibly.as.me/?calendarID=2795062. The collection is part of Planning and Development’s regular programming to provide residents with comprehensive waste-disposal and recycling services. For more information about residential waste services offered, visit www. 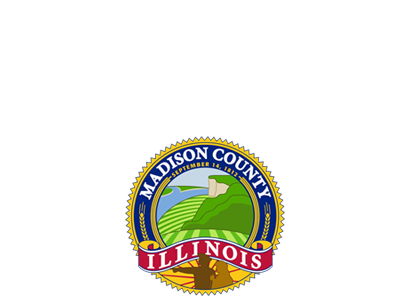 Madisoncountyplanning.com.